Ready to sculpt that gorgeous waistline? The key to revealing toned abs is to target all of those stabilizing muscles found deep within your core (aka your transverse abdominis) as well as the ones that cinch your midline on both sides—hello, obliques! Today we’re sharing the ultimate waistline routine that does just that, hitting your abs from different angles to work every inch of your core: obliques, upper abs, and lower abs. This quick workout will leave you feeling strong and confident in just 10 minutes. Want access to even more amazing workouts to sculpt your abs, booty, legs, and more? Your Studio Tone It Up app offers a variety of workout classes, like HIIT, yoga, boxing, and more, that you can do any time, anywhere! Start your seven-day free pass today. Do this circuit three times through, 15 reps per move. 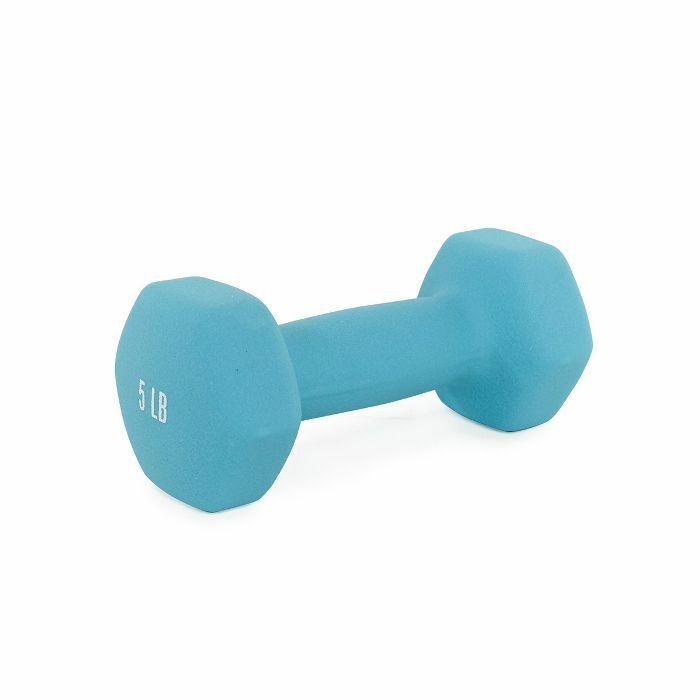 All you need is a pair of five- to 10-pound dumbbells! Tones your shoulders, obliques, and entire core. Start in a plank position, body in a straight line from head to toe, shoulders stacked directly over your wrists. In one sweeping motion, rotate your body to the right as you kick your left foot through. Open into a side-plank position, extending your right arm straight overhead. Return to plank position and repeat on the opposite side. Tones your obliques and hips. Starting from boat pose, hold your dumbbell in both hands at chest level. With a long spine and core engaged, rotate the dumbbell across your body to the right, then to the left. Do 15 seconds, alternating sides. Tones your obliques and shoulders. Start in a side-plank position with your right forearm planted firmly on the ground and your left hand holding a dumbbell on the ground in front of you. For extra stability, you can stagger your legs, placing your top foot just in front of the bottom. Engaging your core and keeping the dumbbell as close to your body as possible, raise your left arm straight overhead. With control, lower the dumbbell back down and twist directly under your torso. Return back to starting position. Start by lying on your back with your legs extended perpendicular to the ground and your feet flexed. Holding a dumbbell in both hands, reach your arms toward your feet as you lift your shoulders off the ground. Return to the starting position. Begin lying on your back with arms and legs extended out to the sides. In one sweeping motion, peel your shoulders and legs off the ground and hug your knees into your chest, engaging your core as you come up. Slowly lower back down. The Tone It Up girls recommend five- to 10-pound dumbbells for this routine. Free People's net hair ties provide a comfortable, flexible fit that holds throughout your workout. Revitalize tired muscles with Zelens's refreshing shower gel. This dry shampoo mousse makes it easy to refresh your look—just run through your hair and go. 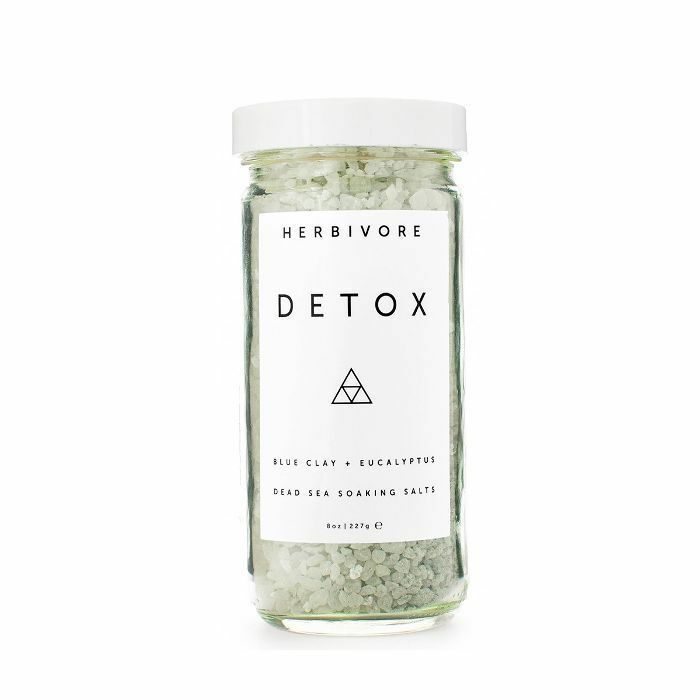 Herbivore's Detox Soak Salts mix lavender and eucalyptus for a restorative addition to your post-workout routine. Up next, the Tone It Up Girls show us five resistance-band workouts for your arms.